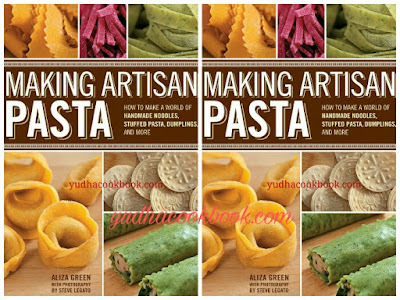 Discover ways to use the fine ingredients and easy, conventional techniques to make clean, home made pasta on your own kitchen with Making Artisan Pasta. Calling for just the handiest elements and a handful of specific kitchen tools, making pasta at home has by no means been less complicated, greater a laugh, or greater delicious. Via creator and chef Aliza green’s pasta knowledge and encyclopedic know-how of all matters culinary, plus loads of suitable pictures with the aid of acclaimed meals photographer Steve Legato, you’ll by no means take a look at the grocery store pasta aisle the identical way again. Making Artisan Pasta is on Cooking mild's pinnacle a hundred Cookbooks of the closing 25 Years list for best method and equipment. Aliza Green is an award-winning Philadelphia-based author, journalist, and influential chef whose books include The Butcher's Apprentice and Making Artisan Pasta(Quarry Books, 2012),The Fishmonger's Apprentice(Quarry Books, 2010), Starting with Ingredients: Baking (Running Press, 2008) and Starting with Ingredients (Running Press, 2006), four perennially popular Field Guides to food (Quirk, 2004-2007), Beans: More than 200 Delicious, Wholesome Recipes from Around the World (Running Press, 2004) and successful collaborations with renowned chefs Guillermo Pernot and Georges Perrier.A former food columnist for the Philadelphia Inquirer, Philadelphia Daily News, and Cooking Light Magazine, Green is known for her encyclopedic knowledge of every possible ingredient, its history, culture, and use in the kitchen and bakery and for her lively story-telling. Green also leads culinary tours--her next is scheduled for October 2013 to Puglia, Italy, which she calls "land of 1,000-year-old olive trees." Green's books have garnered high praise from critics, readers, and culinary professionals alike, including a James Beard award for "Best Single-Subject Cookbook" in 2001 for Ceviche! : Seafood, Salads, and Cocktails with a Latino Twist (Running Press, 2001), which she co-authored with Chef Guillermo Pernot. For more information about Aliza's books and tours or to send her a message, visit her website at http://www.alizagreen.com. Steve Legato is a freelance photographer specializing in food, restaurant industry, cookbooks and advertising. His work has been featured in Art Culinaire, The New York Times, Food and Wine, Wine Spectator, Food Arts, GQ, Departures, Wine & Spirits, Travel & Leisure, Philadelphia Magazine, Delaware Today, New Jersey Monthly and Main Line Today. He resides just outside of Philadelphia, PA. Visit his website at http://www.stevelegato.com.Aliza Green is an award-winning Philadelphia-based author, journalist, and influential chef whose books include The Butcher's Apprentice and Making Artisan Pasta(Quarry Books, 2012),The Fishmonger's Apprentice(Quarry Books, 2010), Starting with Ingredients: Baking (Running Press, 2008) and Starting with Ingredients (Running Press, 2006), four perennially popular Field Guides to food (Quirk, 2004-2007), Beans: More than 200 Delicious, Wholesome Recipes from Around the World (Running Press, 2004) and successful collaborations with renowned chefs Guillermo Pernot and Georges Perrier. ?A former food columnist for the Philadelphia Inquirer, Philadelphia Daily News, and Cooking Light Magazine, Green is known for her encyclopedic knowledge of every possible ingredient, its history, culture, and use in the kitchen and bakery and for her lively story-telling. Green also leads culinary tours--her next is scheduled for October 2013 to Puglia, Italy, which she calls "land of 1,000-year-old olive trees." Green's books have garnered high praise from critics, readers, and culinary professionals alike, including a James Beard award for "Best Single-Subject Cookbook" in 2001 for Ceviche! : Seafood, Salads, and Cocktails with a Latino Twist (Running Press, 2001), which she co-authored with Chef Guillermo Pernot. 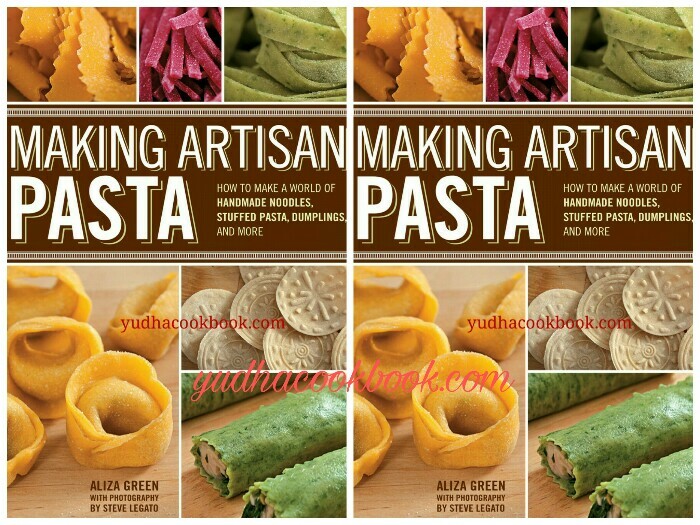 For more information about Aliza's books and tours or to send her a message, visit her website at http://www.alizagreen.com.Steve Legato is a freelance photographer specializing in food, restaurant industry, cookbooks and advertising. His work has been featured in Art Culinaire, The New York Times, Food and Wine, Wine Spectator, Food Arts, GQ, Departures, Wine & Spirits, Travel & Leisure, Philadelphia Magazine, Delaware Today, New Jersey Monthly and Main Line Today.